The spectacular view from Kinghorn, looking back over the Firth towards Edinburgh and East Lothian, was the inspiration for a garden room that would offer both an inward and outward view for the client. 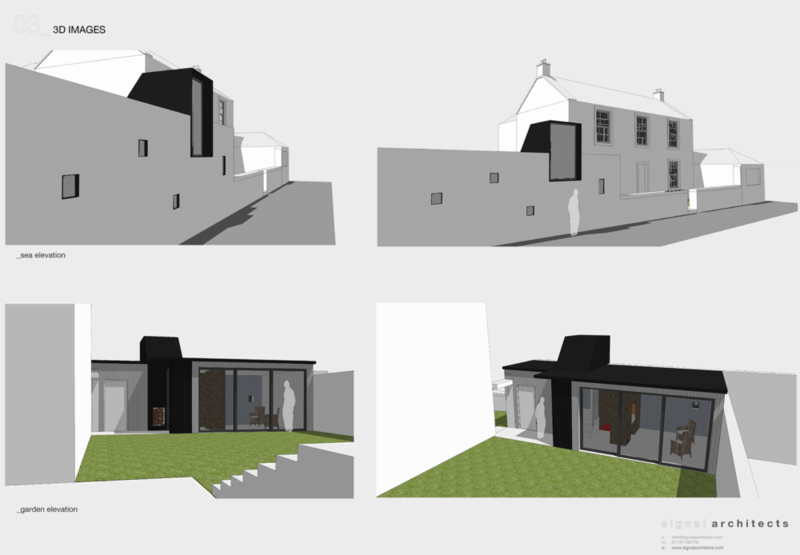 The client had requested a space that was capable of fulfilling several functions: additional bedroom for visiting guests, home brew/gardening space and future snug/tv and relaxation room. The requirement for multiple functions resulted in a compact yet diverse plan which offered a main open area with wood burning stove and sink, separate reading and relaxation room with large outward view to the Firth, proposed fold down bed and private wc. The concept came from the sites instant connection with the coast and the spectacular view. The large viewing window to the reading room aimed to heighten the expansive view by reducing it to one portrait format opening, amplifying the drama of the sea/horizon/sky connection. The resultant view, devoid of middle or foreground, casts the occupant outwards from the space to create a refuge for contemplation. 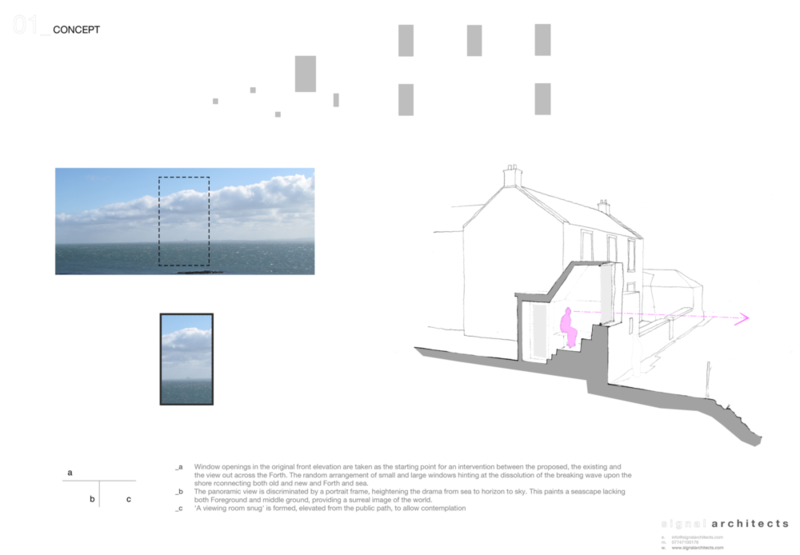 The proposed fenestration (window arrangement) came from the constant wake and foam of the sea against the coastline and a dissolution from the windows of the existing house to those of the garden room. The Light Box; a marker or sentinel that forms a landmark, a point of enlightenment and comfort that you are close to land; a space of warmth and security. 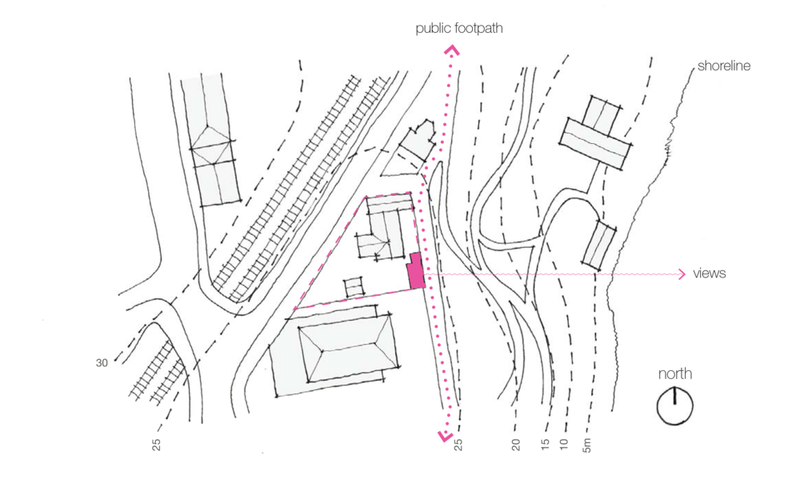 The work shown here is the feasibility study produced while I worked with Neil Millsop at Signal Architects . The project was granted planning permission.